OAC’s 2017 Class Schedule is Online and Registration is Open! 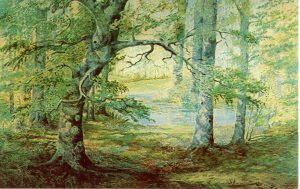 The Oliver Art Center is pleased to announce its 2017 Summer Class Line-up! Registration can be done on our website, under the ‘Classes’ tab on the top menu or by calling the office at (231) 352-4151. Students will find classes in painting, drawing, collage, furniture, writing, ceramics, quilting, cooking, and special classes just for youth. 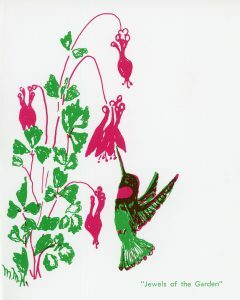 Returning favorites such as Peggy Hawley, Edee Joppich, Cedar Kindy, Beth Bynum and Tony Couch are joined by new instructors Julie Keck (copper enamel jewelry making), Jenni Bateman (silk painting), Heidi Finley (marbeling on paper and silk) and Karen West (iPhone and abstract photography). Douglas David returns this year with still life painting and David Abeel is back with Windsor woodworking. The culinary arts program welcomes back Joe Muer with four classes on seafood and fish as well as Jim Voltz with classes on brunch and soups. Oliver Art Center is pleased to welcome Sara Hartley from Cherry Republic with four baking/pastry classes. Youth classes are back in drawing, painting, ceramics, sculpture and felting. Register early for these popular summer activities. The ceramics program is growing as well! 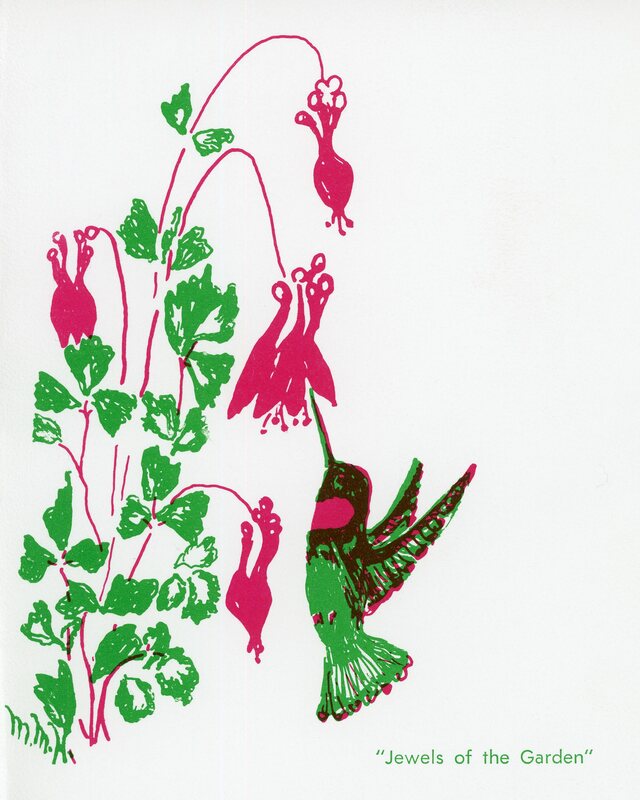 Every Thursday is Open Studio and no experience is required. Keep an eye on the website for more beginner adult and kid ceramics classes. “This year’s line-up is one of our best yet. We conducted a community survey late last year and asked what our community was looking for in classes. 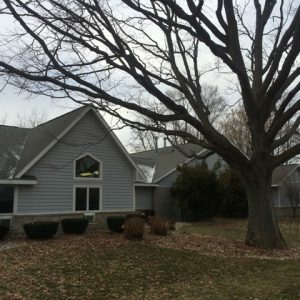 We took all the comments into consideration when booking this year’s classes and we hope that the community responds well to what we are offering. We are also looking to attract more youth to our center with many different classes for all ages” says Mercedes Michalowski, Executive Director. The Grand Traverse Journal already published the first three chapters of the late Bob Wilhelm’s history of the Wilhelm family in the November, 2016 issue. 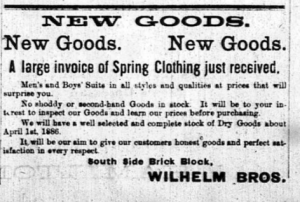 Now we wish to continue the project with this excerpt describing the Bohemian community along Union Street in the 1880’s and the construction of Wilhelm’s clothing store at the corner of Union and Eighth Street (now the AT&T store). 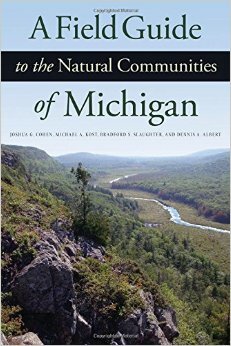 We plan to offer Bob’s book online in its entirety at an early date. Around 1880 when Anthony Wilhelm took up residence in Traverse city, Union Street was “paved” with sawdust its full length from downtown to Sixteenth street. The wooden South Union Street bridge was low and the slope from Seventh Street to the river provided fine sledding for the young. 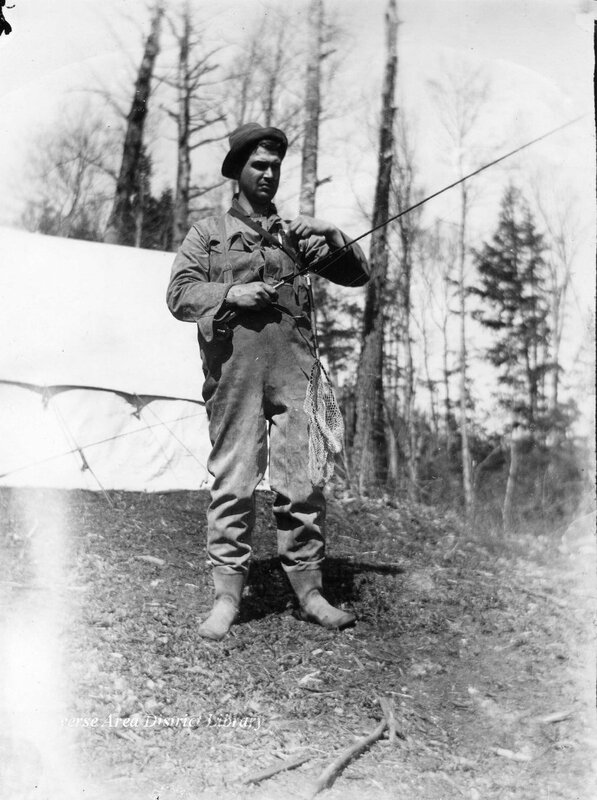 In the spring when the pork barrels were low, people could be found on the banks of the river with dip nets and spears catching suckers, bass, pickerel and trout. Two local Indians, Louis and Jake, who lived in a slab wigwam on Sixth Street near the river sold fish to the neighborhood. The price was always 25 cents regardless of the size or amount of the fish. When the pigeons returned along the river, rifle fire was common. There were only a few buildings from Seventh to Tenth streets. On the west side of the street at the corner of Seventh and Union was the Franz [?] Wilhelm’s meat market. Other buildings were the homes of Mrs. Furtsch, the Bartaks, E.P. Wilhelm, Charles Dupres, and Harry Holdsworth. Union Street ca. 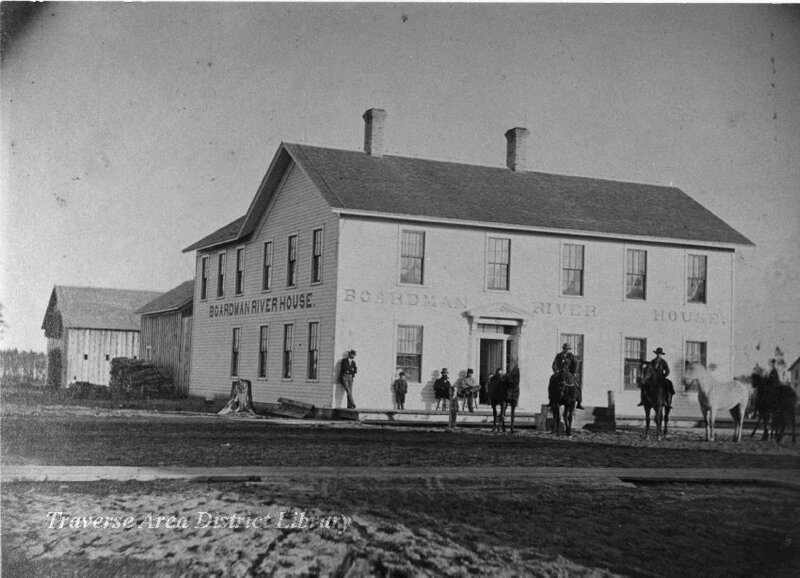 1870, showing Boardman River House, now Brady’s Bar. 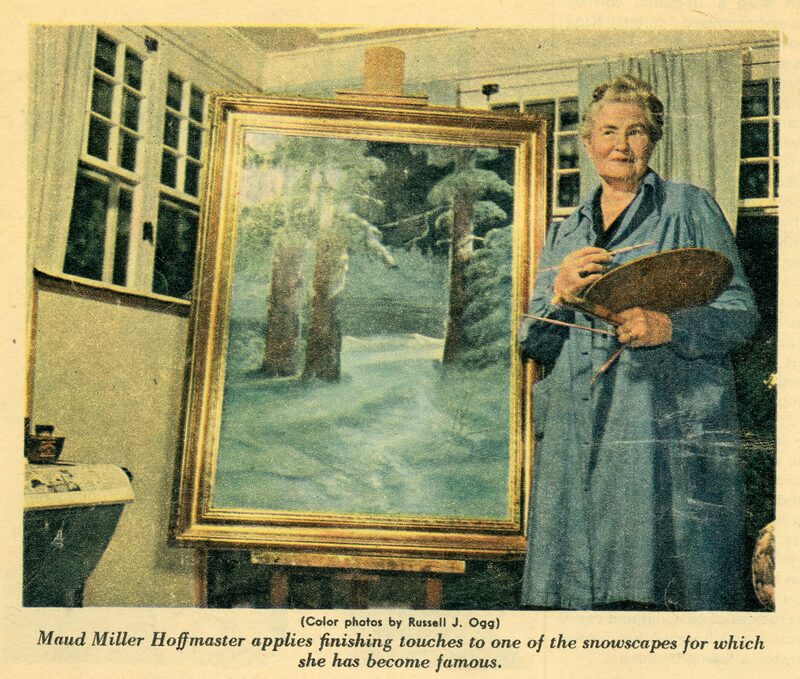 Image courtesy of Traverse Area District Library, Local History Collection. On the east side of the street were the Boardman River House, Chaloupka’s Saloon and Prokop Kyselka’s home at Eighth and Union. Further up the 500 block was the Dezorme home, the convent, Mattison Drug Store and the residences of Morris Sabin and the Weidenhamers. South of Tenth Street was a forest of second growth and poplars. Unlike so many of the lumberjacks, Anthony Wilhelm managed to save a few hundred dollars from his many years in the lumber camps. He joined his cousin John Wilhelm buying and selling real estate. On the north side of Eighth Street near Union they purchased several lots. John kept two and built his home. In 1883 Anthony exchanged the remaining parcels for lots 19 and 20 at Union and Eighth. Ant. J. Wilhelm is getting the material on the land for a brick building on the corner of 8th and Union Street. The building will be 25 x 60 feet, two stories and basement. It will be built entirely of white brick. 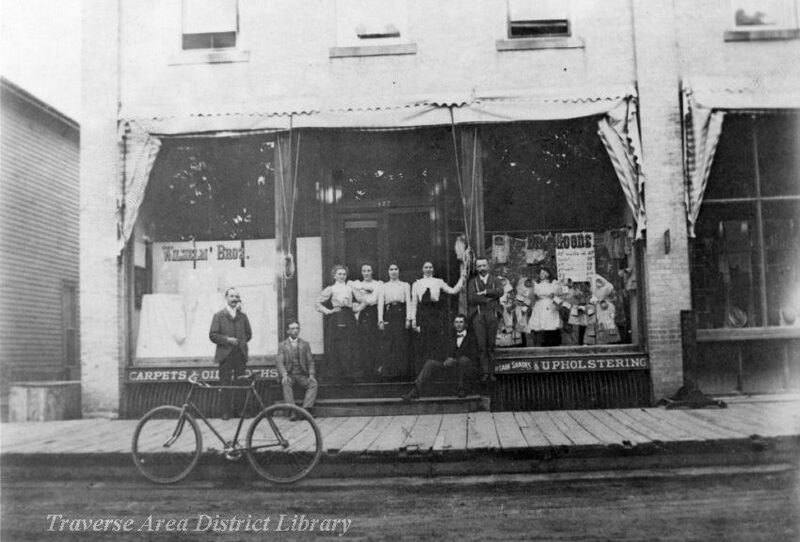 “Wilhelm, Anthony J., Wilhelm Brothers, Dry Goods, Clothing and Carpets.” Image taken from a collection of photographs of Traverse City Businessmen, held at the Traverse Area District Library. Work will begin soon on the fine brick store for Ant. Wilhelm corner Union and Eighth. The present building has been bought by Jas. Dunn and is being moved to his lot corner Eighth and Cass St. He is putting in a cellar and brick foundation. This building was the first dwelling on the south side of the river. The new building will be 25 x 60 feet. The foundation will be quarry stone. The west and south fronts of the best pressed brick, the first floor front of iron and glass and the front iron. E. Adaley has the contract and J.G. Holliday will have the carpenter work. The building will cost about $3,500. The existing building formerly occupied by Caloupaka’s Saloon was raised and placed on the crib and moved on rollers. A large log would be dug into the street with a windlass. Ropes would run to the building and teams of horses or oxen would turn the windlass and slowly move the building. Since all the brick production of the J.W. Markham’s brick yard on West Bay road was being used to build the Northern Michigan Asylum, it was necessary to go out of the area for supplies. White bricks were purchased in Zeeland and moved to the Lake MIchigan coastline to be transported by boat to Traverse City. 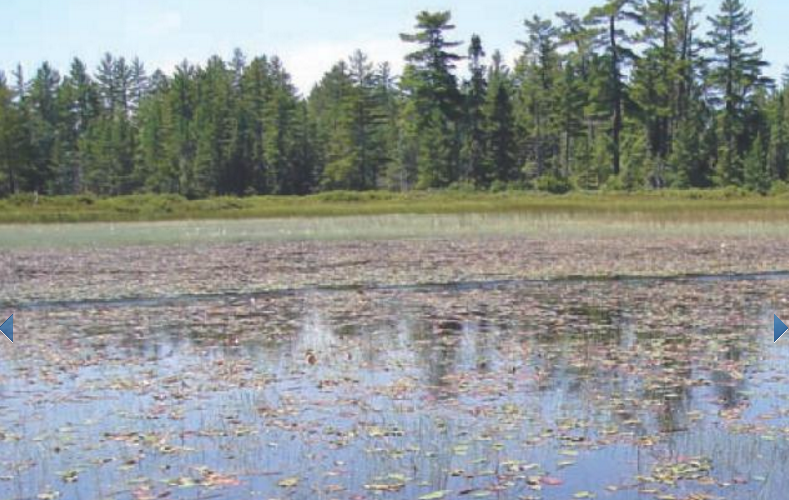 The limestone foundation was purchased from the owner of a lumber schooner who had used it for ballast. The beams were two by twelve inches. In the front of the store were cast iron girders. 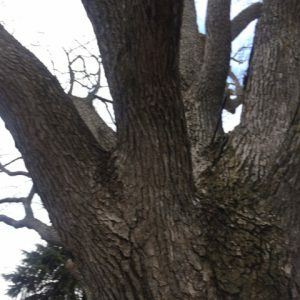 The reason for the twenty five foot width was that this was the maximum width that could be constructed without extra support. 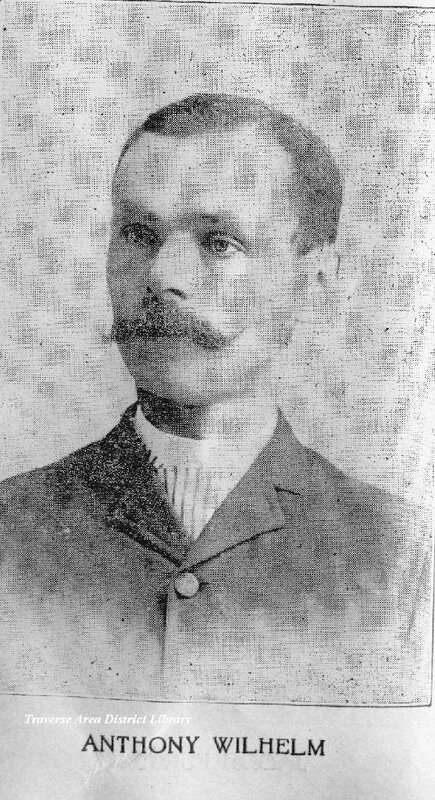 With a vacant building, the Bohemian community urged Anthony Wilhelm to open a clothing store to serve the needs of the neighborhood. 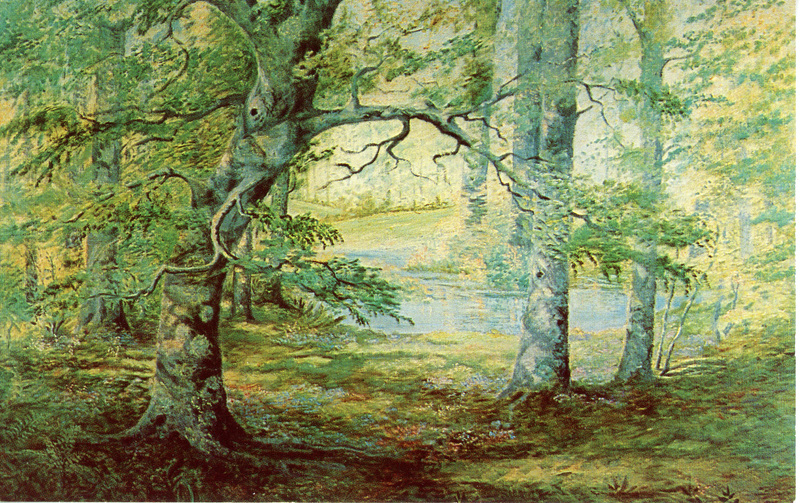 Anthony and his brother Emanuel formed the Wilhelm Brothers partnership in 1885. The business opened in 1886. Emanuel (“Em”) Wilhelm in fishing gear. 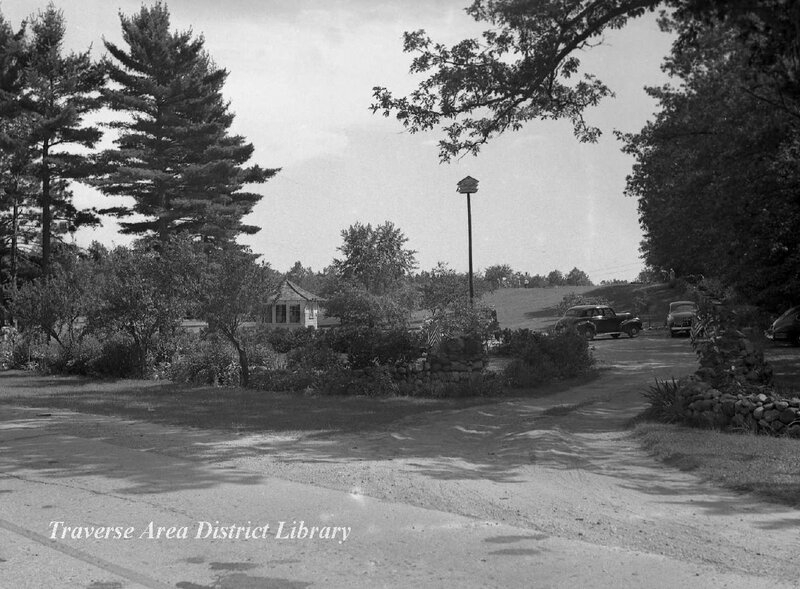 Image from the Bob Wilhelm Collection, Traverse Area District Library. 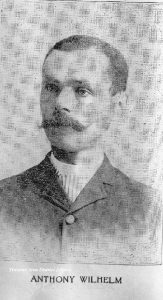 Emanuel Wilhelm had returned to Traverse City after spending three years in Kansas, Colorado and New Mexico. He was employed in cattle ranching, railroad work and mining. With his wanderlust satisfied, he moved to Milwaukee where he took several business courses and worked seven years before returning to Traverse City to join his brother. With the establishment of the partnership a second 25 s 100 foot addition was constructed on the north side of the original building. The Northern Michigan Asylum was nearing completion so bricks could be purchased locally from the J.W. Markham brick yards. The cost was $3.00 per 1,000 bricks. A large invoice of Spring Clothing just received. Men’s and Boy’s Suits in all styles and qualities at prices that will surprise you. No shoddy or second hand goods in stock. It will be to your interest to inspect our goods and learn our prices before purchasing. We will have a well selected and complete stock of dry goods about April 1st, 1886. It will be our aim to give our customers honest goods and perfect satisfaction in every respect. 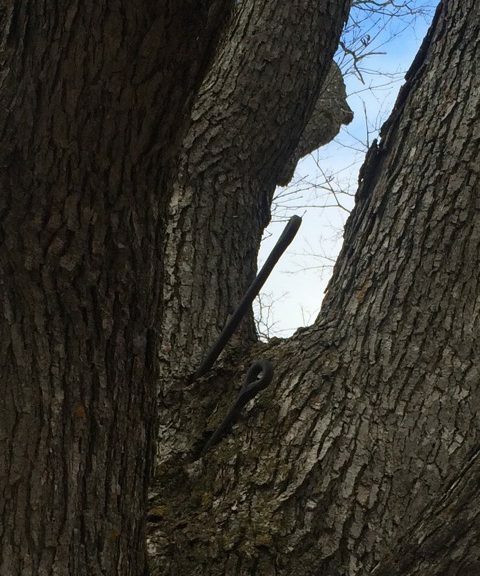 South Side Brick Building Wilhelm Bros.
Why was this tree skewered? Image provided by David Odziana. 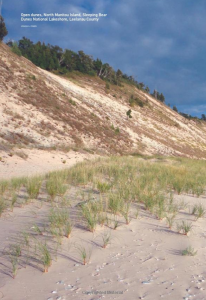 For many residents of Michigan, a vacation often consists of driving a few hours north until they reach one of the many popular tourist destinations throughout the state. 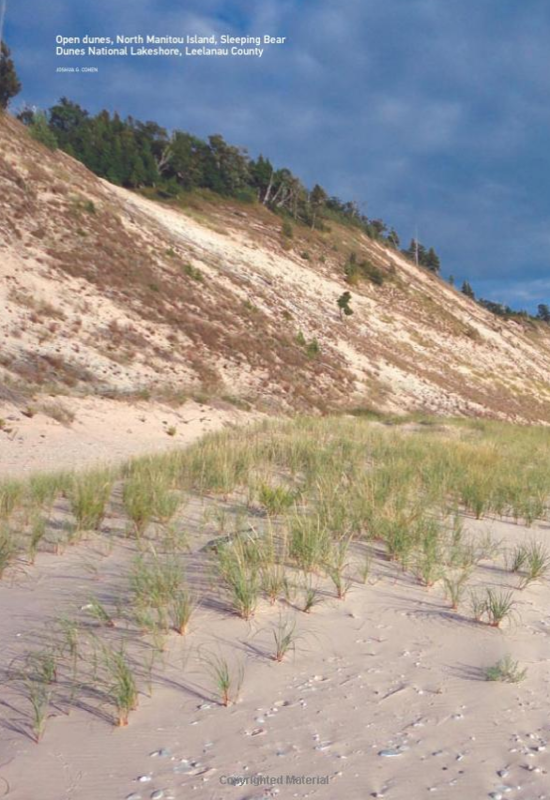 Traverse City is one of the more popular vacation spots in the Lower Peninsula, enticing visitors with an array of year-round activities. The area once known as Slabtown and Little Bohemia has an extensive history, which is a big part of the beloved city’s charm. Interior of Sleder’s, ca. 1885, with the famed spittoons resting on the floor. Image courtesy of the Bensley Collection, Traverse Area District Library Local History Collection. 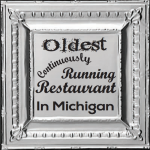 Sleder’s Tavern is one of the most established buildings in the area with the prestige of being one of the oldest restaurants in the state. 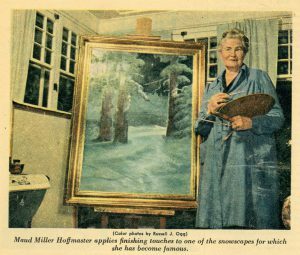 A Bohemian wheelwright named Vencel Sleder came to the area in the second half of the 1800s, and soon made the decision to construct a local tavern where residents could visit with friends over a home cooked meal after a long day at work. 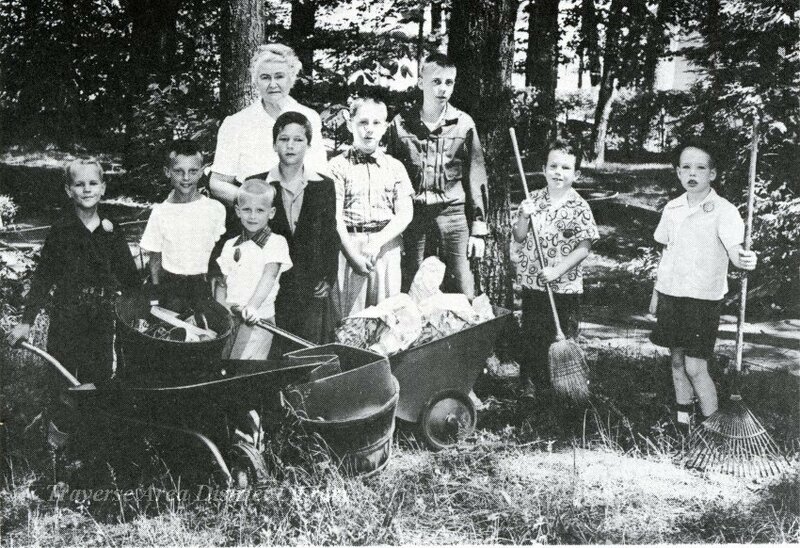 Since most able hands were busy working in the mills or on their land, only Sundays were available to work on the restaurant. This caused construction to complete the building to drag on for three years. The building was manufactured using rejected wooden slabs from the local sawmill; Sleder’s Tavern was finally finished in 1882. Vencel conducted his business with the mentality that goodwill is good business, later becoming the company’s slogan that allowed the bar to survive many dark economic times. 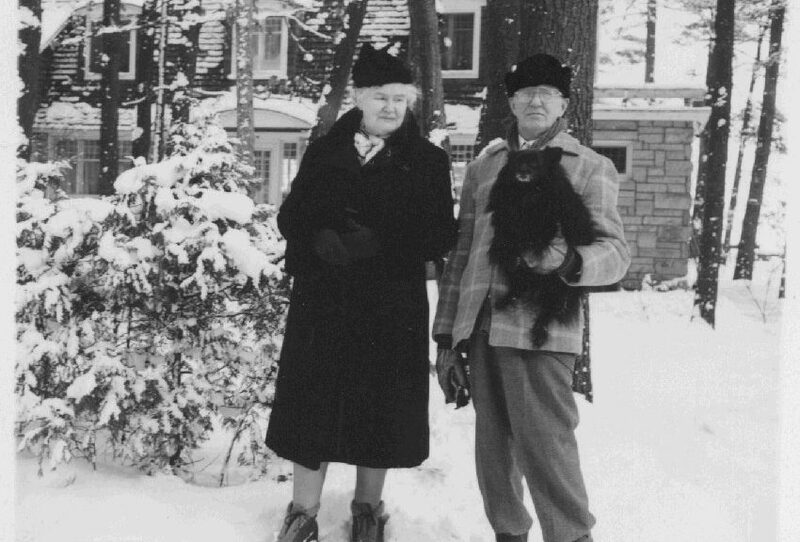 The second generation of the Sleder family to work at the tavern was Polly Sleder, who was well known for offering her household medical advice with each $1.50 case of beer. It was also said she gave patrons a free beer and a double shot of liquor for each case of beer purchased. 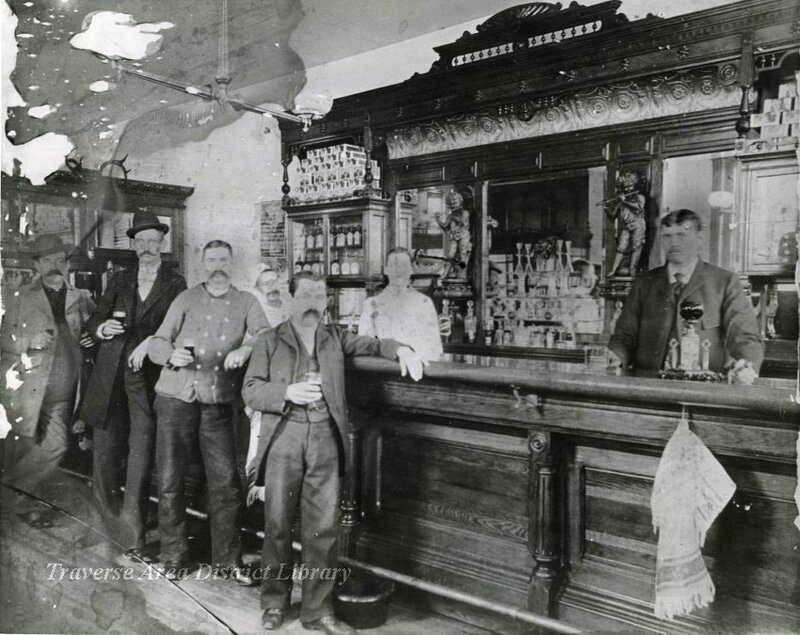 Prior to inheriting the tavern, Louie Sleder’s first job at the bar was to clean out the 21 spittoons throughout the restaurant, receiving 25 cents for each one. By 1920, Sleder’s Tavern was faced with a great deal of uncertainty, as everyday life began changing drastically during this time. 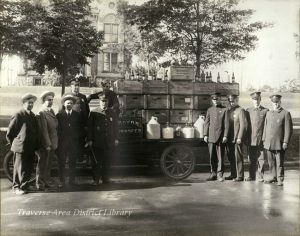 Results of a Grand Traverse Prohibition-era raid with officers and sheriff’s deputies. G.T. County Sheriff David R. Campbell at the far left. Image not included in Ordizana’s original article, but Your Editors love this photo, courtesy of the Traverse Area District Library Local History Collection. When Prohibition was enacted in Michigan, Sleder’s Tavern was already established for nearly 40 years, which gave the company a better chance of surviving the state’s dry period that lasted more than 15 years. Sleder’s secret for thriving during the country’s ban on alcohol was his special root beer, which was well known during the time. The mixture, which was actually a blend of rye and bourbon, was served in tea cups free of charge to all visiting law enforcement – this allowed the family business to flourish when a majority of taverns were forced to close their doors. 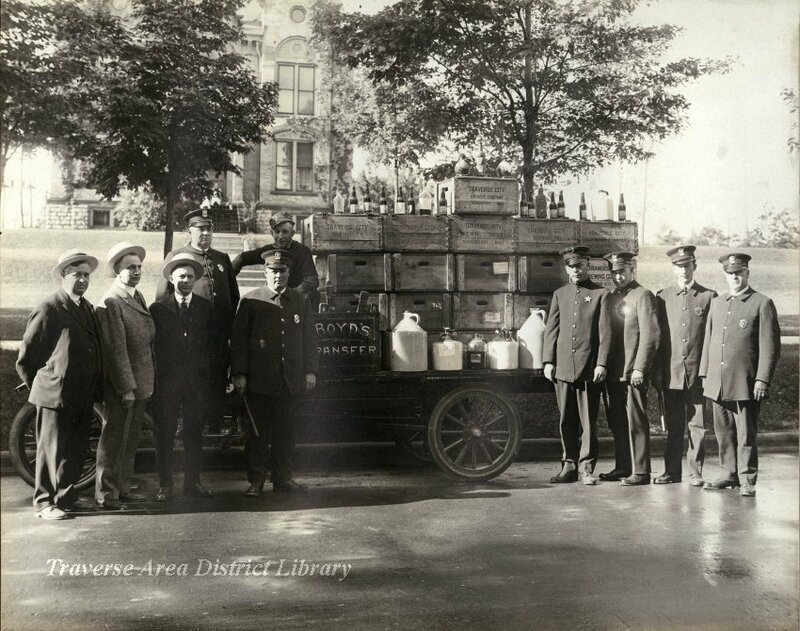 Throughout the 1920s, local law enforcement mainly focused on out-of-town bootleggers who were bringing alcohol into the area. This continued until the 1930s, when state police decided to enforce the laws local police were ignoring. Sleder’s Tavern was quickly raided, and police discovered two stills, 231 pints of beer, 50 gallons of mash used to brew alcohol and six quarts of moonshine. Due to his clean record, Louie was only charged with possession, which resulted in a $600 fine, instead of the much stiffer punishment that came with a bootlegging charge. This raid was most likely a result of pressure from citizens, who collected 450 signatures to get local police to “exercise a higher regard for the moral protection of the youths of our city and a more thorough enforcement in dealing with violators of city ordinances, federal and state law.” Despite the fact that the petition didn’t mention alcohol or prohibition, it was assumed the paperwork was referring to the lack of enforcement on alcohol in the city. Interior of Sleder’s Tavern today. Image contributed by Brooks Vanderbush. During the 1930s, the building underwent a few structural changes. 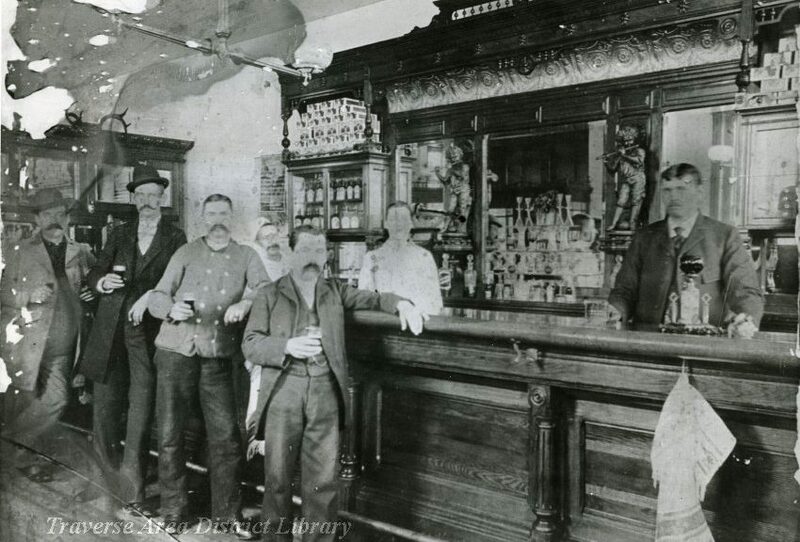 Prior to this time, men and women were not allowed to frequent the same area of the bar. Instead, the men drank in the main bar, while the women had their own section in the back, which they would enter through a separate door. 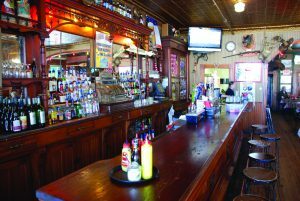 After Louie opened up the two rooms to make one large bar and renovated the second story ballroom into living space, many of the regulars who frequented Sleder’s were not happy about having women in the same area of the bar. 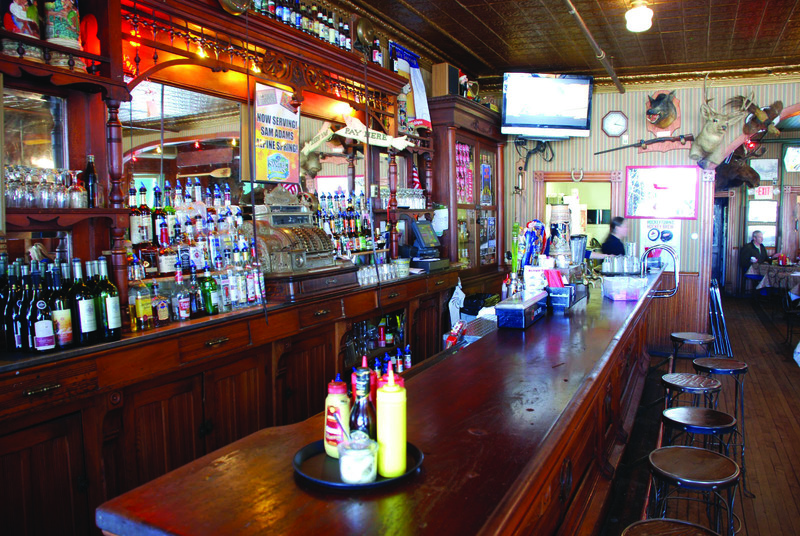 The original, 21-foot mahogany bar of Sleder’s Tavern, as it looks today. Image contributed by Brooks Vanderbush. Although some things have changed in the building throughout its 134 years of business, many original features still remain. 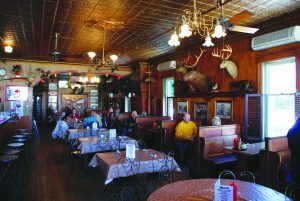 Time-appropriate stamped tin adorns the 12-foot-tall ceilings, original light fixtures still hang on the walls and much of the historic collectibles still decorate the walls, but one feature tends to grab the attention of thirsty patrons more than anything else. The original 21-foot mahogany bar, equipped with an old brass foot rail and embellished with cherry wood on the sides, has remained in the same spot since 1882. 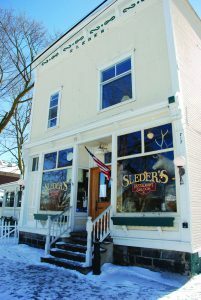 Exterior of Sleder’s Tavern today. Image contributed by Brooks Vanderbush. 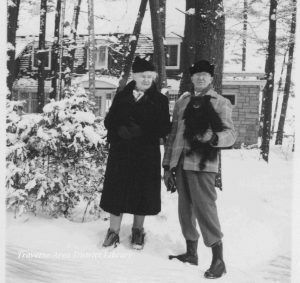 Louie Sleder was the last family member to own the tavern before it was sold. 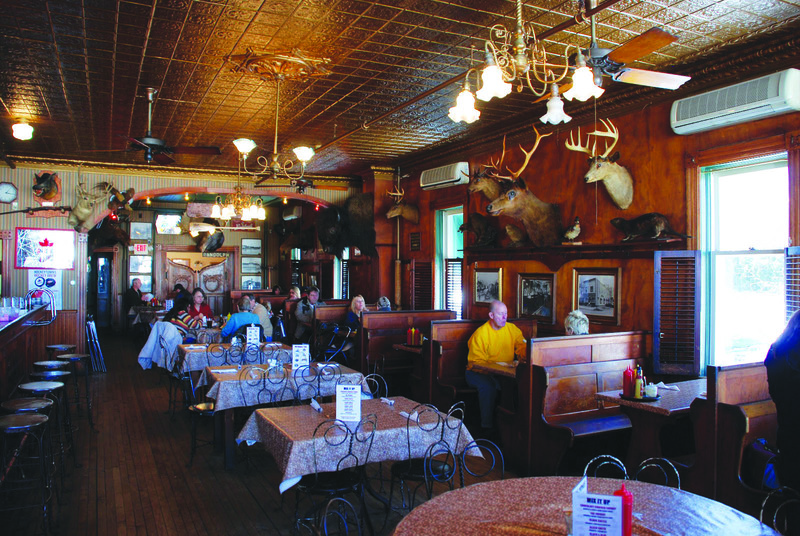 After changing hands a few times, Sylvia and Bob Classens purchased the restaurant in 1975. The couple’s main goal was to ensure the historical aspect remained. Renovations they accomplished were uncovering the original hardwood floors, redoing the paneling on the walls and constructing a Victorian style porch on the side of the building. In 1992, Brian and Deb Cairns purchased the restaurant from the Classens, and shortly after, the couple tied the knot on the recently constructed porch. 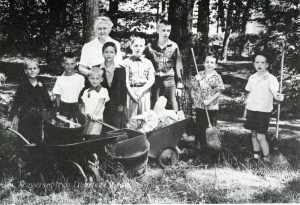 When the Cairns took over, they changed as little as possible – all five of the Classens’ children, as well as many of the previous employees, remained employed at Sleder’s after the tavern got new owners. 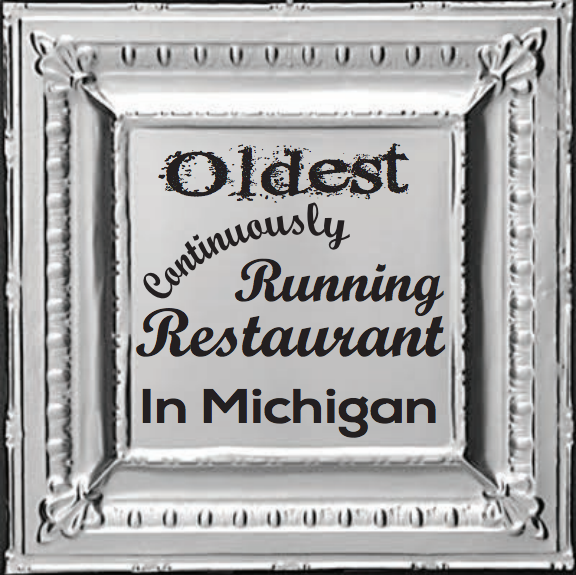 Today, Michigan’s oldest continuously running restaurant sits in the same spot at 717 Randolph Street in Traverse City. 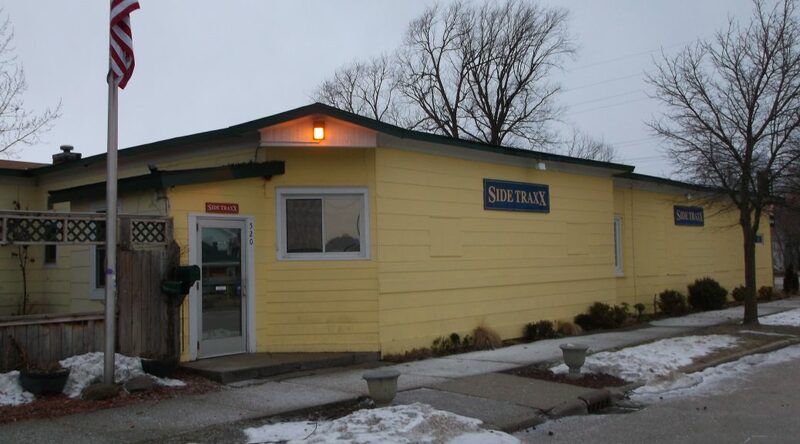 While much has changed throughout the city from the time it was known as Little Bohemia or Slabtown, Sleder’s Tavern stands as proof that some things can truly stand the test of time. 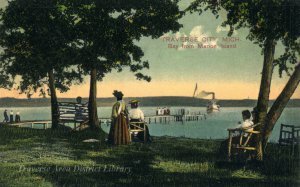 This bar is the only remaining building of the largest employer in Traverse City in 1917. What is the name of that company? 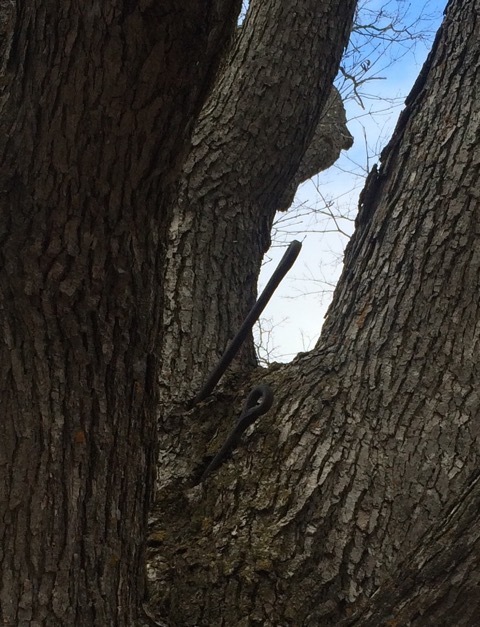 A causal exploration of the grounds by Your Editors yielded little evidence of the building’s former use. Should you visit, take a look for yourself! A number of interesting features, including frames of windows visible on the outside but not on the inside, and layers of wood paneling, gives us much to speculate on.